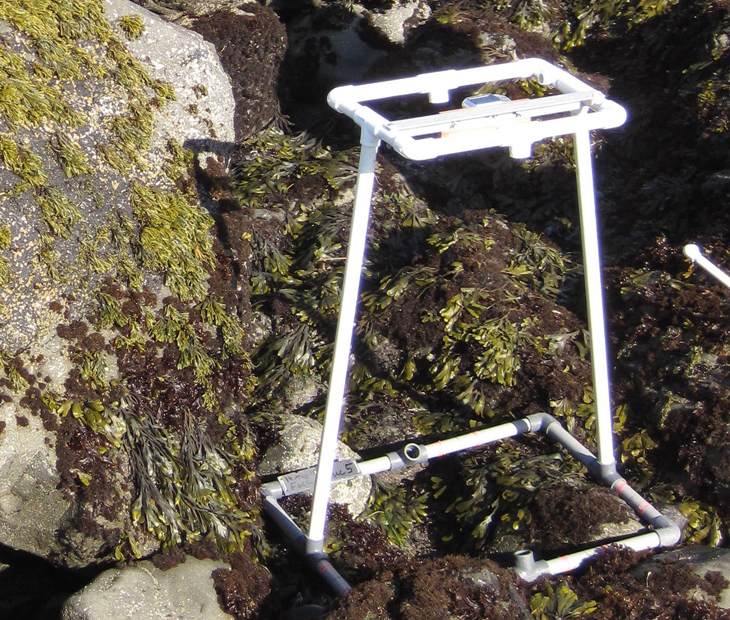 With the exception of the mussel plots, all photoplots at Cape Arago have had high cover of barnacles throughout much of the 15 year period they have been monitored. This site is an important pinniped haul-out, and the number of seals and sea lions using the site, as well as the duration of time spent at the site by seals and sea lions, appears to be increasing. We have had to re-schedule monitoring of this site several times during the past few years due to presence of seals and sea lions on the reef. Barnacle plots at Cape Arago tended to be dominated by the acorn barnacle, Balanus glandula, but the little brown barnacle, Chthamalus dalli/fissus, was also consistently present, and occasionally in even higher abundance than Balanus. Fucus cover in rockweed plots plummeted from over 90% to nearly 0% between 2000-2001, and has never recovered. The decline of Fucus was almost certainly due to disturbance resulting from sea lions. Since 2001, these plots have been dominated by bare space and barnacles, a relatively short-lived group that can easily recruit to newly disturbed patches on a reef. Mussels have periodically recruited to the Fucus plots, and were particularly high in cover in 2006 and 2007, but they’ve since declined. In 2008 the spike in “Other Invertebrates” was driven by a recruitment event of Mytilus trossulus into the Fucus plots, although they did not persist into 2009. 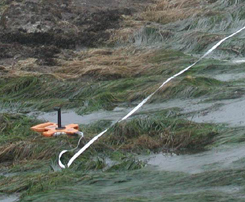 As with Fucus, Pelvetiopsis and Endocladia cover in their respective target plots was generally low after the initial survey in 2000, and tended to be dominated by barnacles. Limpets and littorines were the primary motile invertebrates found in all above plot types. Mussel plots are located in a different section of reef from the other photo plots, and were the only photo plot type not heavily impacted by sea lions. 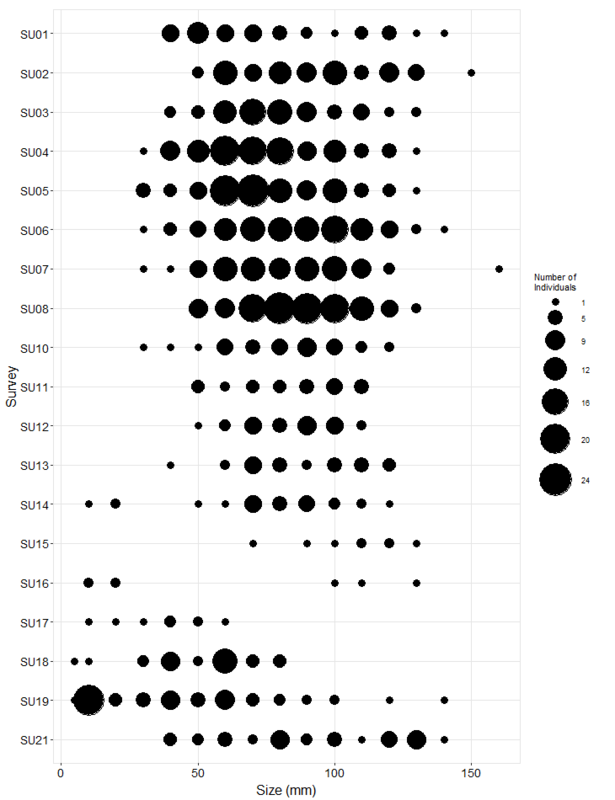 Mean cover of Mytilus in these plots remained near 100% from 2000-2011, then experienced a slight dip in 2012 to just under 80%, which has lasted through 2014. This dip was entirely due to a substantial loss of mussels from plot 1, which dropped from 83% cover in 2011 to 14% in 2012. Limpets and Nucella were common across all years in mussel plots. The Phyllospadix transects at Cape Arago are located in a low-lying, calm bay just upcoast from the main site. It is an area rich in low intertidal/subtidal algae, and is unlike our surfgrass transect locations at most other sites in that it is not dominated by Phyllospadix. This difference is reflected in the long-term trend graph—surfgrass is high in cover at times, but low intertidal algae, particularly the boa kelp, Egregia, are also key players in the community. 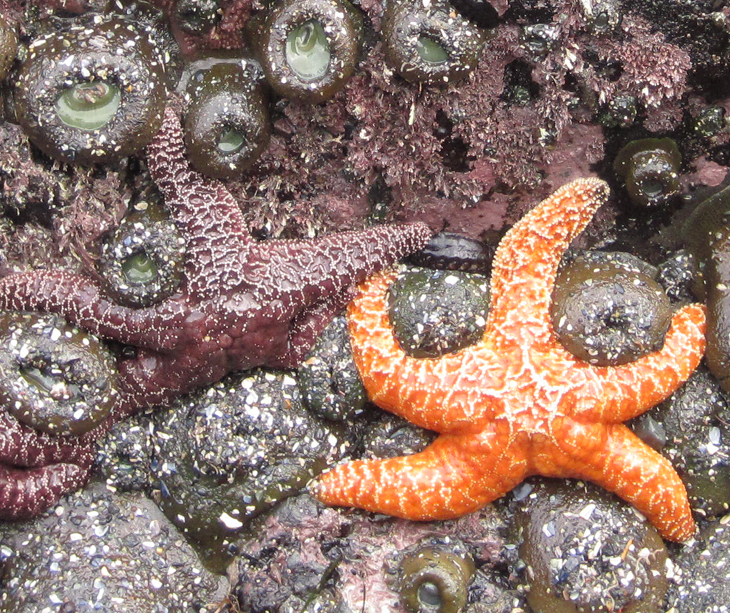 Ochre stars in the sea star plots were relatively common overall, but experienced a decline in numbers between 2008-2010 (Cape Arago could not be sampled in 2009 due to sea lions hauled out on the reef). We expect counts to be down further due to Sea Star Wasting Syndrome when we return in 2015. The katy chiton, Katharina tunicata, was extremely abundant in the sea star plots, particularly in 2014.